my beautiful daughter is 13 today! I’m back from retreat, I am a priest and I have presided at my first Eucharist and I will write more about that in the week. Today though is a very special day in the Ryan household as …. 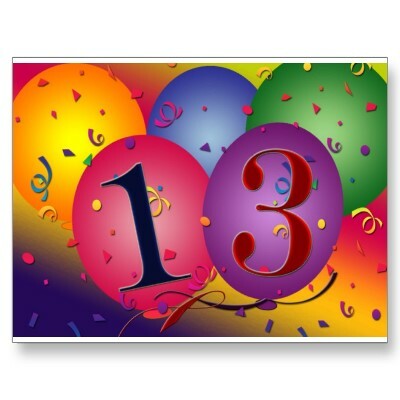 Happy 13th birthday Beth – I love you loads! When we returned to Gillingham in 1996 Beth was just a bump – and now she is a beautiful and talented 13 year old. I can’t believe how much we are all proud of her and love her. This entry was posted in family by robryan65. Bookmark the permalink.